The colors may vary from the color that you are viewing on this screen due to individual computer monitor color resolutions. 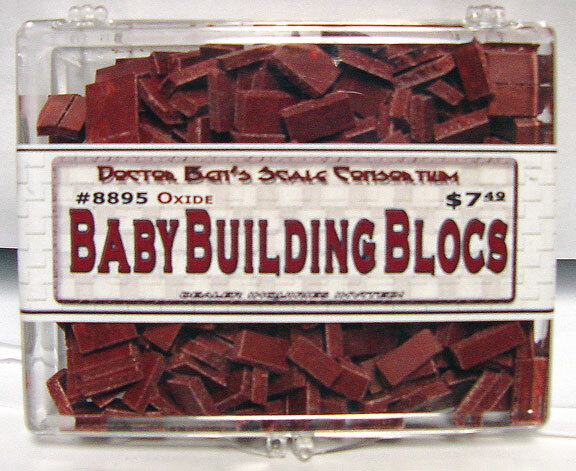 We also offer "bulk" purchases for those really BIG jobs. We can also provide custom lengths & widths. Please contact us for a quote on your specific project. Each 11 ounce box contains at least 36 square inches of wall space when our Blocs are stacked flat as shown in the image to the right. 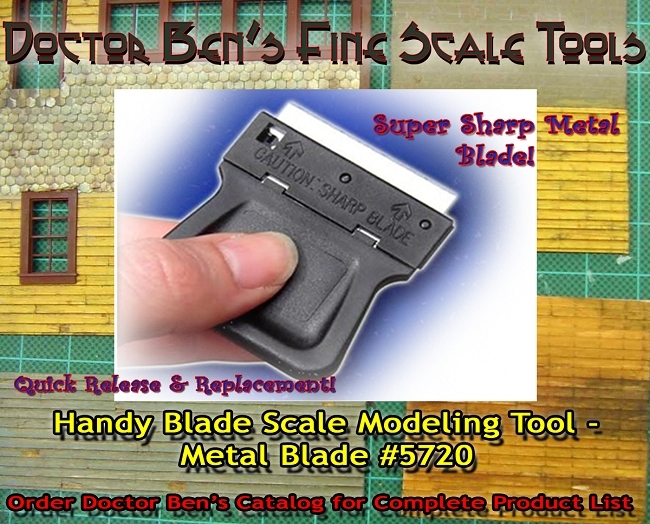 It is very easy to assemble them right out of the box for a rustic finish or trim them with our Doctor Ben's Handy Blade Tool for a more neat arrangement. 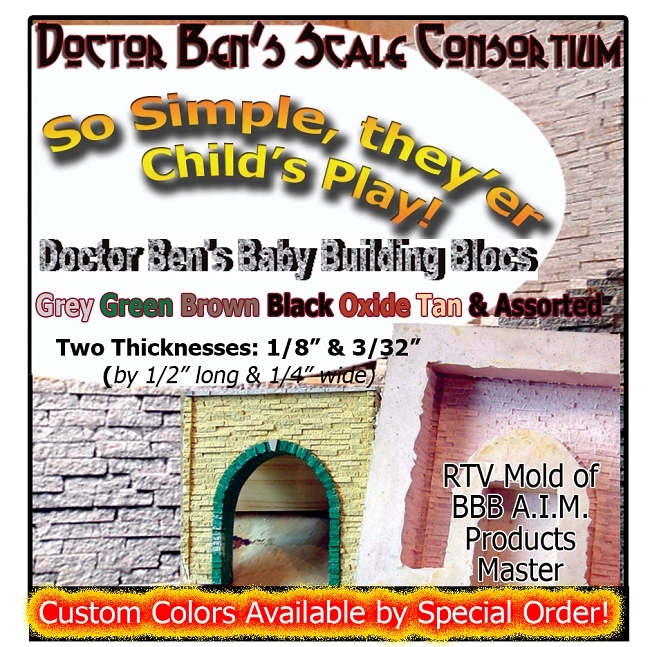 Doctor Ben's Baby Building Blocs are so simple to glue together with most any glue (we use CA) & it's so simple, some consider it child's play - but the unique realism of our original split-granite process will surprise you of home many retaining walls, structure foundations, you name it. 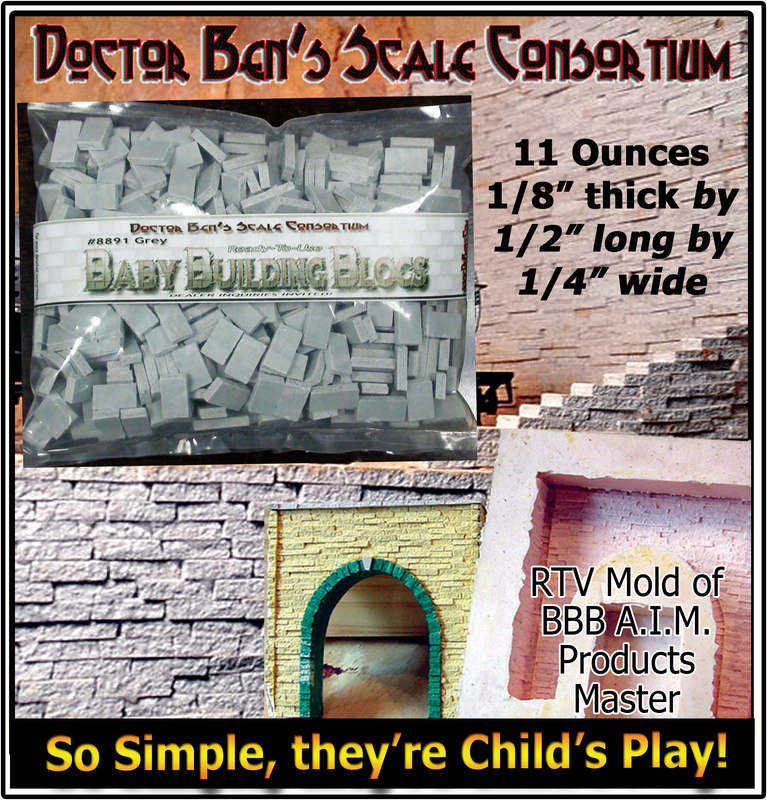 And if you would like to cast a mold to make multiples of your BBB masterpiece, simple contact us, & we'll be happy to show you how!! 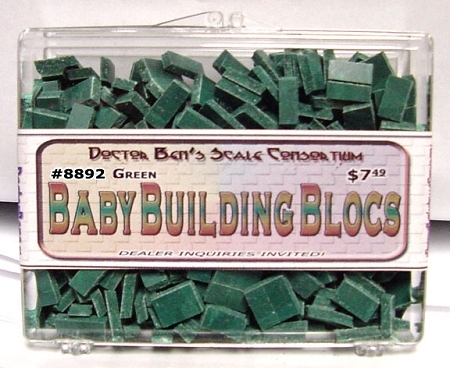 We also offer the Doctor Ben's Baby Building Blocs in various sizes and colors too! Please check our other listings. As Always, If We Please You, Please tell Your Friends. If Not, Please Tell Us! 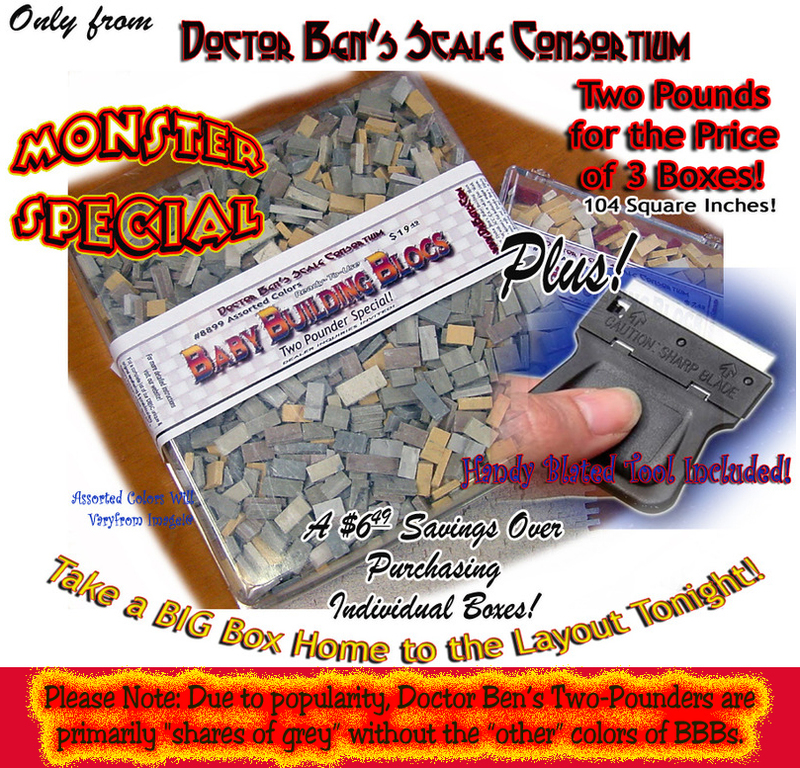 Fantastic product easy to use and the realism is wonderful! This is a great product. 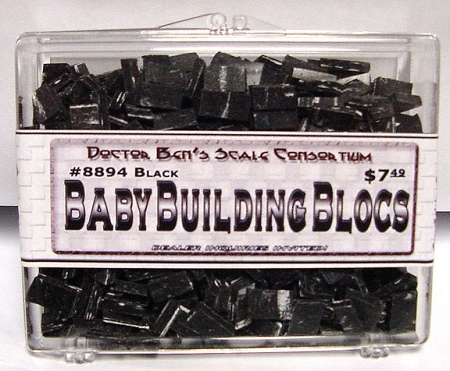 The blocks are easily cut and shaped with a small snips. 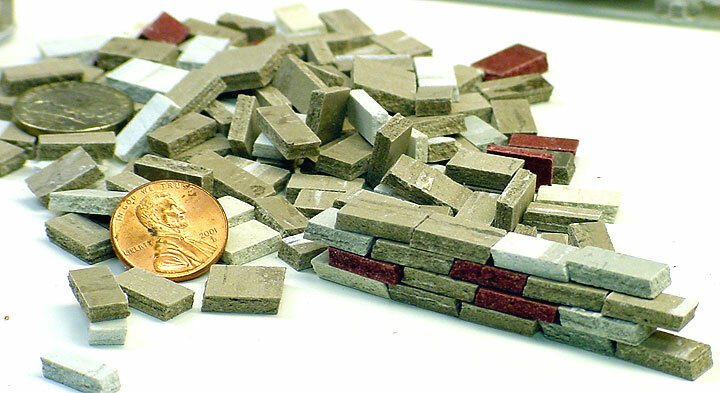 They are very useful in enhancing existing structures, or just fabricating realistic rock/stone structures.